RC Radio: Valhalla, additional comments! 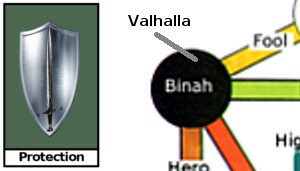 Valhalla is a city within Binah. Binah is a Sephira and a very large place, like the Sephira Daath, it is the size of Jupiter perhaps larger and is full of many different kinds of experiences. Valhalla is one of these places you can visit in Binah. Valhalla is a somber place due to the nature of it, but the Knights here are jovial and are always lifting the mood with their sharp wit. 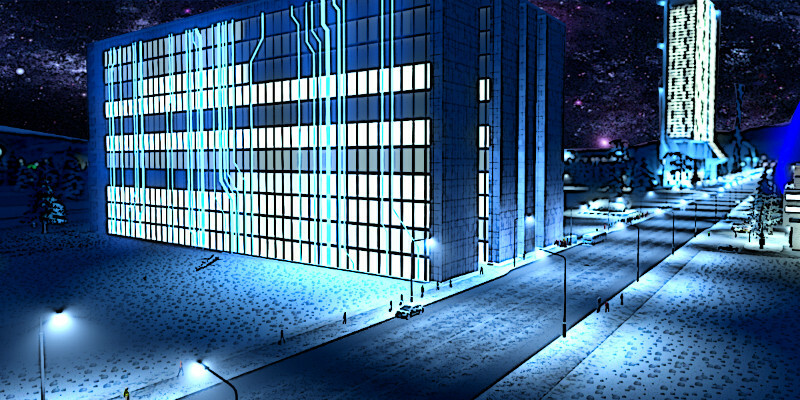 Valhalla, unlike “Priestess Heights” is small, just a handful of buildings. However despite its small size it is nonetheless an important stop over in our pathwork series. Obtain your black outline in your aura. Prepare for your "Crossing of the Abyss" to reach Kether. If you have the "Armor of Hercules,” obtained at “Hero Academy,” or the higher level “Dragon Armor” obtained at “Justice Glade,” and have completed all the Tarot card places through “Priestess Heights,” you can come here to add the "Black Outline of Protection" to your energy armor. Your newly raised energy and white light from your journey up the Tree of Life tarot is fragile at the start. Many things can disrupt it. Often times it is enough to go into a room full of people to burn this charge off. Dark energy will be attracted to your light and attack it. People who have not been through this training may unconsciously seek your light out to tap into it. The black outline in your aura can help to shield your energy field so that you do not appear like a target. It helps you go energetically unnoticed. It is not a cure all for this problem that all high energy beings have to deal with, but it will lesson the impact by 80% or more. That is considerable protection. The first thing to do here is go and obtain your black outline in your energy field. You do this by visiting another energy forge, similar to the one found in Hero Academy. This forge is really an energy field that burns this new protective energy into the armor you already have. It is an upgrade in your ability to go unnoticed by dark energy, energy vampires, astral entities, etc. 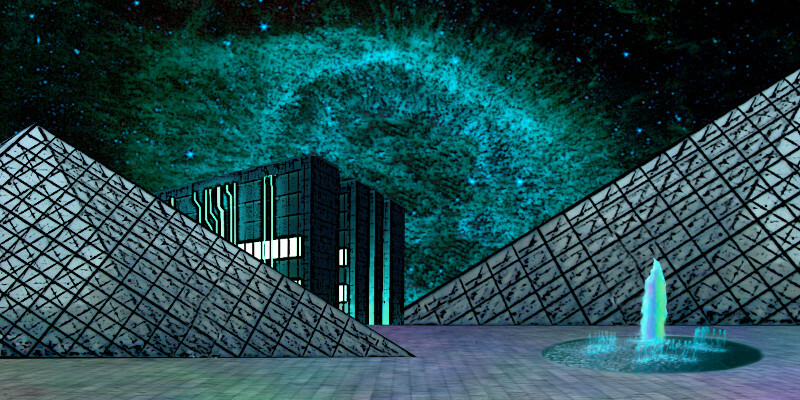 The forge is located in the square-shaped “Brain Building” (pictured), as it is called. This building is in two parts, this part contains the right hemisphere. It’s companion building, containing the left hemisphere, is located in “Priestess Heights.” Together they form an entire brain (which is a topic for another article). Enter this building and find the Master Smith. The Master Smith is actually the Archangel Tzaphkiel. He will ask you to enter the forge then shower you with his energy to upgrade your armor. The other thing you can do here is visit with the “Knights of One.” You will find them in the pyramid shaped buildings. They can help you with self protection and fighting off the dark energy, and prepare you for the "Crossing of the Abyss," if you have not yet done that. 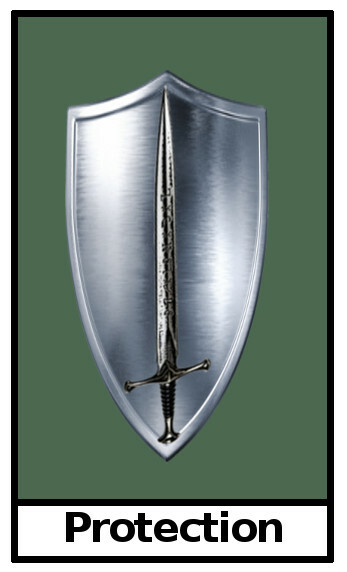 The training you get here from these Knights is not as complete as the dragon training you can receive in “Justice Glade.” However if you are not going for dragon training, then you do not need that high level training and the training that these Knights can provide will be sufficient for your spiritual needs. As a final thing to do here, jump into the "Fountain of Purity," outside, and wash yourself of any impure energies. You may notice that the ground here is all wet with a inch or so of spirit-water covering it. This liquidized-spirit is energizing and provides protection from the dark energy that gets deflected out of the Abyss. This liquidized-spirit makes Valhalla a powerful spiritual place to seek shelter or to just bask in the pure mothering energies of spirit that Binah is generally known for. Possible spirit guides you can meet: any of the Asgard, Tzaphkiel (Master Smith), Archangel Michael. Primary Gift: black outline of protection in your energy armor. Help with Crossing the Abyss from the "Knights of One." Fountain of Purity: take a dip to purify your energy field and bask in spirit. Go to the Brain Building (left hemisphere) in Priestess Heights and obtain the Part A Vial with the green liquid. Next get the Part B Vial with the golden liquid, located in the Brain building (right hemisphere) inside Valhalla. Bring these two quest items to the Master Smith (Tzaphkiel) in Valhalla. The Master Smith will place you in the Forge used to give you the original Black Outline of protection and tell you to drink the vials. Then he will activate the forge and convert your Black Outline of protection to an even higher vibration. Note: this quest can be repeated anytime you feel you want to refresh your protection.